“Cinderella Bootcamp is excellent. It is easy to follow and use but incredibly powerful. Support is almost instantaneous when you need guidance and the answer provided to resolve it. The coaching sessions are invaluable too as we all benefit from them and it propels us forward when we are feeling stuck. Anne’s support is amazing, she is always there as if by magic and constant checking up on us to make sure we are progressing. The whole experience was outstanding, and the calls where Anne does the training live were the highlight of my week. I now use the power exercises each day and bring in my team to support me. I feel like I have more authority in all areas of my life and change the energy of situations if I feel out of control. “The quality of the presentations was superb in every aspect. The images were high resolution, well chosen and extremely professional. It was absolutely evident that Anne had put in a great deal of investment into Bootcamp- thought, content, effort, time, equipment, resources, presentation were brilliant. The trainings and healings, as always with Anne, were top notch. Each and every one was of a very high standard, reaching “parts that other parts never reach”. I could really feel the love and attention that each aspect of the course was given and knew the amount of time it must have taken her. Hats off to you, Anne! The membership site was easy to navigate once I gave myself a chance to get used to it. It was all very professional and excellently produced. Anne provided far more care and attention than I had anticipated she would be giving. Her support was consistent throughout, responding to questions and often, angst that arose throughout, by more than patiently answering questions she had already provided answers for, in the calls. I feel she went above and beyond my expectations. Without a shadow of a doubt, I feel 100% more empowered! I’m ever so grateful that BC was run at a time in my life when I really needed it. The short term benefits were evident (see below) but the lifelong lessons and healings will stay with me forever, as I will be using the tools at least a couple of times a week. Whilst I was taking bootcamp, I was also completing a challenging postgraduate course that I was worried that I may not pass. We identified throughout the course, many factors that were limiting my ability to succeed and one by one, these were identified and removed. I also went through a difficult time with one of my managers at work and I know without any hesitation, that Anne helped me to get my power back from the situation as well as the manager and that contributed to me feeling listened to and respected more at work. By the end of Bootcamp, my results came through and I passed the course, gaining 95% on one of the exams! I am thrilled! Things with my manager have improved as I have learned to stand my ground, employing all the tools Anne taught and instructed us to use in specific situations. These are tools for life!! I have had to use them many times since the course and have found that they are transferable to so many different situations in my life, possibly due to my own individual circumstances, as well as my cultural upbringing. I have found that my awareness of the types of problems and situations that we were dealing with, has become much deeper and my focus on eliminating these from my life has come into sharper focus. This is invaluable, because knowledge is power; Anne has provided the knowledge and to boot, given us the tools to get back our power lost through these disempowering situations and to bring awareness to others of these power deficits. This work isn’t for the faint-hearted! It is pioneering, challenging, and therefore you should expect it to bring some stuff up for you. However, Anne provides every single tool you need to help yourself through this, and as long as you can remember to use them, you’ll feel every single atom of benefit. “Wash, rinse and repeat” as many times as you need and you will feel as free as a bird and as light as a feather. “This bootcamp was fantastic! I’m on a personal journey to better my life with my husband, my relationship with my children, make new friends and build a strong career. I have faced many obstacles in the past and Anne has really helped me break through these barriers. The content covered was spot on and to the point for me. Already I have seen progress in certain areas of my life and look forward to repeating the course over again. The material covered, the healings and presentations were all very easy to follow and very informative as well as eye opening! Anne, as always is fantastic at helping everyone and understands everyone’s personal journey. I definitely feel more empowered in my life. I have been putting my new tools into practice when I am able to and remember in certain situations. This Cinderella Bootcamp was out of this world. It was so life changing for me, being able to be be confident, assertive and speak up was one of the biggest challenges I faced. Having applied the techniques taught by Anne along with the healings provided I was able to stand in my power in a difficult situation and actually got results. Ever since the Bootcamp I’ve never felt anxious which is just amazing because I now have the tools to deal with situations or people that could cause me to get stressed. I apply the tools daily and I am more conscious and have a sense of peace. Anne is a brilliant teacher, everything about the Bootcamp is awesome; the healings, presentations, handouts are of qood quality and just perfect. The content was so clear and concise and of very good quality. The membership site is lovely and user friendly. 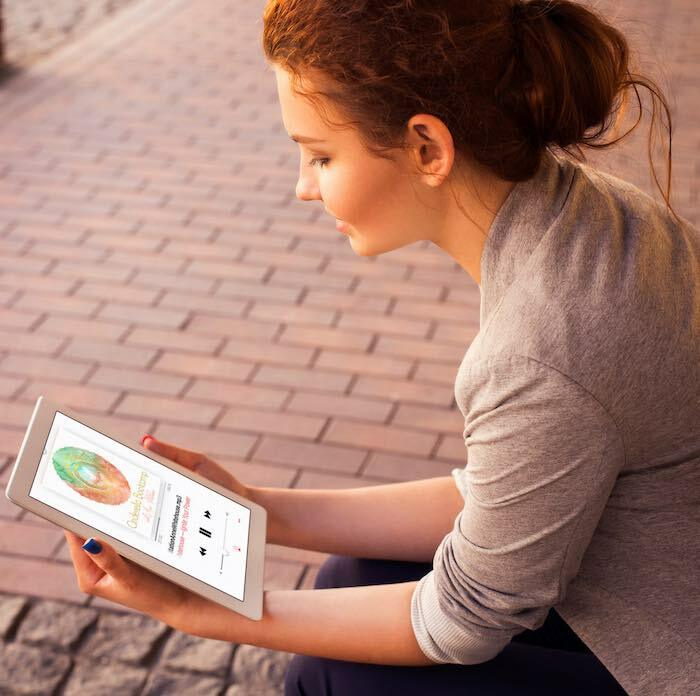 It’s easy to download recordings and the literature. Anne is just the best! So caring and supportive, and always responded to our questions or concerns throughout the Bootcamp. The best thing is the results! The fact that I had evident results by applying what Anne taught was what I enjoyed most. Also the ladies on the Bootcamp were very supportive to each other so we felt we in it together and no one was alone. I loved the togetherness. It feels amazing to stand in my power! “Everything was excellent. The content was fab, the training presentation was really lovely healings were deep and support was excellent. Anne was amazing – really helpful – explained anything we needed further explanation on. I also mailed her a few times during the course & her support was invaluable. There was a slightly different approach- as to the content this time- a lot more deeper. I was scared initially- but I liked the fact I felt supported throughout- Anne really does guide you gently throughout it all. It felt like I didn’t have much time this year when I first enrolled & was scared I wouldn’t be able to keep up. However, the course however was manageable & enjoyable. I love Anne’s style of teaching – the calls were fab – followed by a healing – all was great – I’d normally fall asleep during the healing! Anne does ALL of the hard work – obviously – you need to do the background work which can be triggering/ challenging at times- but Anne leads you through things step by step – like she’s holding your hand! “The Bootcamp has put me on a journey of self discovery and self mastery. I have air tools at my fingertips thanks to Anne and her teachings and feel now it’s up to me to begin to use them. With the healings their were instant hanged in that I felt profound shifts but feel I have a lot of self help work to do on a daily basis to really make it work. The whole programme has been excellent from the teaching, to the slides and homework and audio help. The training was amazing! very insightful and thorough. Easy to follow and simple to use. Anne was fantastic. She answered all questions and queries, and explained things really well. I felt very supported throughout my journey. “I loved the training. It’s simple to follow and really helpful. The healings were amazing and I love the group vibe where you can share what’s going on and support each other when you need extra support. Anne is amazing and I felt her support throughout the process. When using the Facebook page if having a meltdown she is quick to come on and provide advice as to what to do and remind you which parts of the bootcamp you may need to listen to again. The healings have been amazing. While learning all the things that have held me back has been really important, the healings have helped me stay strong when I’ve wobbled and I love the fact I can do them whenever I need them. Having done the original Bootcamp and feeling the impact on my entire life, I had to go for Bootcamp 2.0. Cinderella Bootcamp was absolutely amazing. Anne’s support was fantastic and inspiring. The healings, and understanding the 3 pillars, really eye opening! “Cinderella Bootcamp was sublime. I feel that being part of the Cinderella Bootcamp has created a positive paradigm shift in me on very necessary levels. 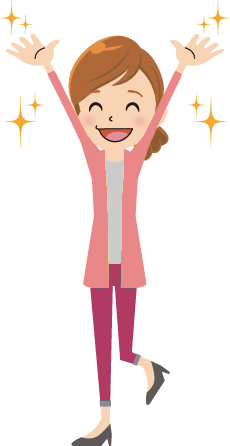 I’m still in the processing stage currently, with the course so recently ended! Anne is wonderfully supportive and the course is beautifully presented, with brilliant visuals and thoroughly explained so you understand, and the healings and resources are awesome. Being part of the group is great on so many levels. You have to be willing to do the work. “Cinderella Bootcamp with Anne is one of the best investments you can make. I had done lots of work on myself before joining but it hadn’t made the deep shifts I really wanted. I didn’t truly stand in my power. I kept giving it away thinking nobody wanted to hear my opinion, that I shouldn’t take up too much space or time and let everyone else take the lead. This all changed with Anne’s excellent explanations of how women have had generations of feeling like this and why it can be so hard for us to keep pushing to affirm our equal position in society only to keep falling back into old habits. The teachings and healings received made me understand why we needed them and then so brilliantly (and powerfully) clear the blocks restricting us. These were so easy to use and I listen to them again and again and will continue to do so as they clear more each time. On top of the healings, Anne taught really easy, simple techniques to use on ourselves when we hit resistance or limits or find ourselves giving our power away. These are practical tools to use daily which work so well alongside the healings. Since completing the course, so much in my life has changed, life is just that little bit easier and I stress so much less. The moment I feel it crop up, I use Anne’s tools to stop spiralling downwards, as I used to pre-Bootcamp, when the smallest thing went wrong. I have actually moved jobs and am now moving in with my boyfriend. I have also stopped sabotaging myself so much whenever something good happens as I now acknowledge the signs and stop it in its tracks with the powerful tools and healings. “Although I had completed a lot of healing with many different modalities over the years. BootCamp 2.0 gave me an opportunity to gain a deeper understand of my foundations and why some of my blocks, (frustratingly) still prevented me from moving forward. Through Anne’s clear and passionate presentations of her understanding of the female disempowerment that we live with, within our DNA and ingrained into society. It became apparent that Anne’s healing modalities tools and attunements would give me the opportunity to set myself free. I was excited by the prospect of living my truth AT LAST. Each week the calls with Anne explained and presented in a way that everyone taking part would connect with, what every your life experiences had been to that point, that as females in this powerful group that Anne had created, would be some amazing break-throughs and life-changing opportunities. I chose to commit to the process, I wanted to change, I want to live my life differently, I wanted to learn, grow and empower myself to achieve anything I set my mind too, but this time get real results. 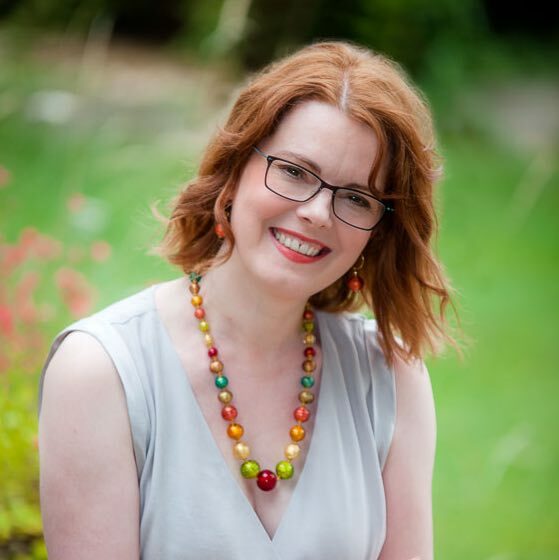 Anne always delivers huge amounts of passion for her subject, involves herself fully in your healing process, is guided by the higher energies to achieve the best outcome for everyone and with respect for the greater good of ALL. During the course, I completed the tasks each week with some hesitation and a lot of emotion but kept in mind the bigger picture, my goals and why I want my life to change. My mind and body went through many changes over the course, I had been given tools and understandings that this was ok and to be kind to myself. It’s a little like travelling through a long tunnel, you can’t really see where you’re going but the light is there and you have the guidance of Anne to reassure you, encourage you and remind you of the process. Each day I work with tools Anne has taught me, I am gaining more and more power back, I am feeling happier in myself, achieving albeit small, but never the less reaching the next step on my journey to where I want to be, and allowing myself to enjoy it. “I found the training immensely clear and straightforward to follow. The healings were amazing and I really looked forward to each one. The membership site is easy to use and access which is great for someone who isn’t brilliant at IT. Anne was always there when needed. When asking a question she would answer in a clear and concise way and help you to know which healings you needed to repeat to help you get over a hurdle or block you had. I feel calmer and more in control and that is something I haven’t felt for a long time. It’s helped me be honest with myself. That’s the biggest part in any change learning to be honest with yourself and taking action! The boot camp has helped me to see patterns in my life that were blocking me from succeeding. It has opened me up and enabled me to understand why I have blocked myself so many times in the past. I had a huge breakthrough in a meeting with a really difficult client and I actually used “my team” to help me beat the male misogynist energy in the room and not only shine but also achieve! The bootcamp has helped me to get rid of old beliefs ingrained in my DNA that damaged my every day life. Anne’s support is of the highest quality and delivered with love, compassion, with a deep understanding of your journey, from her personal experiences in life and of the healing process that Anne has been through and continues to work with the tools shared on the course to help, you as an individual as well as the greater consciousness. Thank you Anne for your unwavering dedecation to female empowerment. “My healing journey started about 10 years ago, and that was when I first read about the Law of Attraction, and it answered some things about why I felt so blocked in my life, career etc. 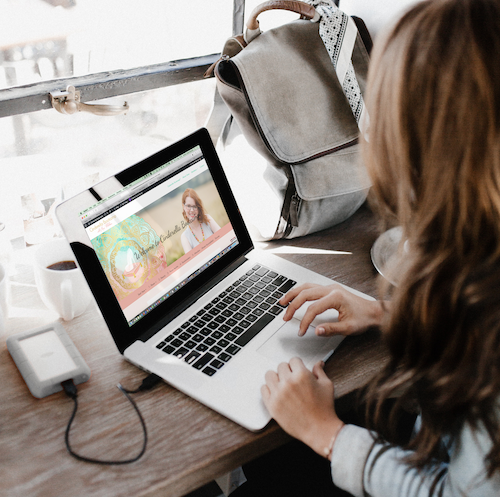 As I researched more about energy and healing, and went to many different courses, I felt positive shifts in my life – but only here and there. I could not understand why there was no positive shift career-wise, or why my health hadn’t improved all these years – and 10 years is a long time to keep experiencing constant failure and struggle. I always wondered, if the Law of Attraction works for others – then why not me? I did wonder if Cinderella Bootcamp would actually work for me, but went along on the course anyway ……and thank God I did! Cinderella Bootcamp provided me with the answers, healing and tools I needed, that helped me shift the issues that had kept me stuck all these years. If I think about myself just 8 weeks ago before the Bootcamp, I remember how powerless I felt in most parts of my life, having no boundaries, and not be able to stand up for myself and always found it hard to express my femininity, etc. Although I feel, I would have to go through the Bootcamp again, many times before I feel the shifts to the levels I want, I can already feel myself standing in my power and interacting with people with boundaries, whereas in the past, I remember just giving my power away to nearly everyone I know, not realising what a big negative impact it had on me. And now, I feel like a completely different person. I can now understand why and how I had so many problems, I feel empowered and have healthy boundaries, and actually feel feminine for the first time in my life! And the amazing thing is, I now have the tools and healing I can use everyday to overcome issues that before were completely unsolvable for me. 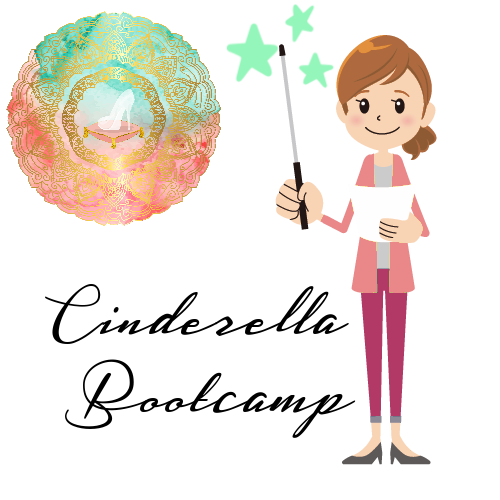 The beauty of Cinderella Bootcamp is, the whole program is gentle, as in; easy to understand content, fun and enjoyable but at the same time deeply effective and really digs deep to get to the root of the problems. “Cinderella Bootcamp was excellent. This is life changing work . I have learnt strategies to help deal with anything life throws at me. In the last few years I have had financial problems, health problems and family problems. I was feeling that I couldn’t cope with it all anymore and was finding it hard to get enthusiastic about even the good things in my life because I was waiting for the next bad thing to happen …with Anne’s trainings and healings I have understood more about why these things happen and feel empowered with strategies to avoid them or deal with them. Anne is an inspirational teacher and has been very generous with the support she gives. It is amazing how much Anne packs in to this course. Anne is very generous with her time and contact with the group, on the membership site,means that there is always support available . It has been a marvellous experience. Being able to access the trainings and healings at any time and as often as one needs is really helpful. After the last training and healing I felt rather bereft that it was over but now, a few days later, I realise how empowering the Bootcamp was and how much more able I am to face whatever comes my way . Of course, Anne does not have a magic wand (although most of us suspect that she does) but she does teach us how to pull back our power and avoid self-sabotage and self-limiting issues. If we are willing to do the work the results really do feel like magic is happening. Being part of the Cinderella Bootcamp private group on Facebook has been very helpful. Sharing the journey that we were all experiencing was both comforting and inspirational. It is great knowing that the support group, the healings and the trainings will continue to be available so that this exciting and effective work can continue. I shall be listening to it all again many times. “I loved the Bootcamp! It is not about finding a partner, but finding yourself and that uniqueness of who you are inside. I feel more confident and balanced, more able just to live and be at peace with the world, instead of feeling like things are an endless struggle. Highly recommend this investment in yourself- totally encourage everyone do it! “Having done the original Cinderella Bootcamp in 2018, I wasn’t sure how much benefit I would get from Bootcamp 2.0 if I am being honest. I think I viewed it more as a top up, even though Anne had said that it would be new material and a new way of thinking about things. As ever, she was right, and I found Bootcamp 2.0 extremely beneficial, not only in the new tips and techniques for managing my day to day life, which I am using to great effect, but in the healings and work that we did over the weeks. I feel more confident, more empowered, and more me. The material was presented really well. I liked the way the content was broken down into educational pieces, healings, attunements and group sessions. It made it easy to navigate, particularly as I couldn’t attend the live sessions. The way the material was presented on the website was particularly useful. Anne is a great support. Her interactions, particularly on the Facebook page between sessions, was invaluable and kept me, and others going during some of the tougher things we faced. I found the healings particularly relaxing. I got some huge shifts after them and found them extremely energising this time around. The understanding, healings and tools have helped me made strides, particularly in my business, which is what I really wanted help with. “I have been working with Anne one to one for the last three months. “I have worked with Anne before but can truly say this course was so empowering . I feel that finally I can take control of my life . Lots of things come up during the 6 weeks and it’s great to work through them and progress. It’s also so nice to be part of a group of women working towards empowerment. 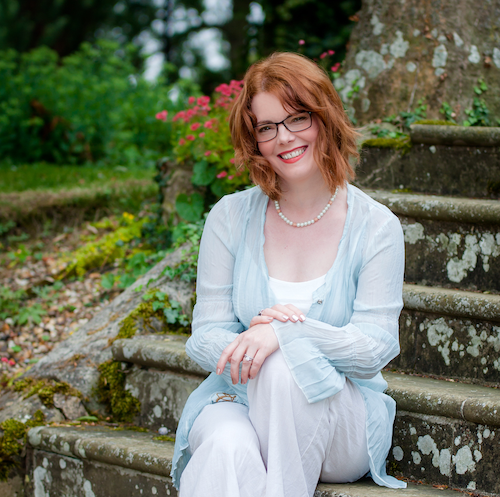 “I went into the Cinderella Bootcamp thinking that it would help me to help my clients. What I found was that it helped me to help myself. It has been a difficult journey at times, and parts of it have been hard to do. During those times I have been supported, both by Anne and the other members of the group. I have learned that I can do so much more than I believed when I started the process. What I have found absolutely invaluable is finding my true self. I have learned to be brave, to be loving, to be kind, to be generous and to be daring. I have learned that I am powerful, and that I can use that power positively to help myself be the best self I can be. I am incredibly grateful that this course exists. “Cinderella Bootcamp® has been the most wonderfully magical transformative, healing and empowering experience for me. I joined based on a recommendation so I didn’t really know what I was going in for. It has been so much more than I could have imagined. I often start courses but never finish them, I have made it through the whole way of Cinderella Bootcamp because it was so manageable. 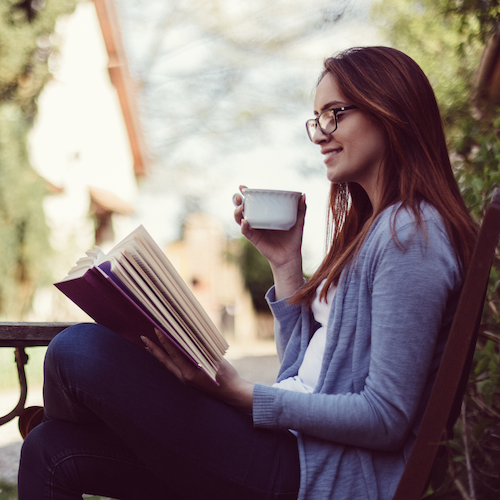 Every chapter provided easy-to-do practical tasks which enabled me to take action, to see where I had been negatively affecting my life and provided me with simple practical solutions to change my energy to the positive. I have come out feeling so much lighter and brighter, I have released so much anger, resentment and negativity – stuff that I didn’t even realise I had. Everytime I face a challenge, instead of disappearing into a vat of despair or self-loathing, I can take a step back and change how I react with the tools provided. I also cleared so much that what used to affect me, no longer does. Thank you from the bottom of my heart for giving me the chance to let go of so much and move forward in a new and better way. “My name is Faye and the universe brought me to Anne and this wonderful Bootcamp. I had a lot of baggage and negativity in my life that I couldn’t seem to ditch and along came Anne with an intensive Bootcamp that has turned my world upside down! I’ve released so much negativity and learned to love myself in a way I never have. My confidence has increased and I am learning and loving every part of me. The homework is sometimes challenging but anything worth doing is rarely easy and letting go of angst and years of negativity from an abusive marriage was not going to be straightforward! I’ve tried counselling and it never worked for me. It didn’t get to the crux of the problem whereas this Bootcamp has literally changed my life. I have let go of pain and resentment and I don’t believe all the horrible things I had shouted at me daily anymore. I am me and I am loved and I love myself and while I know this Bootcamp is just the start of my journey I know I now have the tools and healings to move forward in my life to attract love and abundance and I cannot thank Anne enough for releasing me from fear, anger, sadness and the feeling I wasn’t worth anything. I know I am on a wonderful journey and Anne is the catalyst that has set me on a new path for the rest of my life and I will forever be grateful.